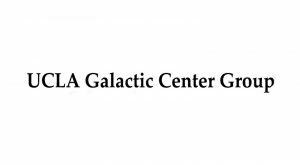 Established in 1994, the Galactic Center Group, headquartered at the University of California Los Angeles, is dedicated to researching the innermost regions of the Milky Way to understand the physics and astrophysics of supermassive black holes. Black holes are regions in space with a gravitational field so intense that no matter or radiation can escape from their “event horizon.” Due to the exotic physics that takes place near the event horizon, black holes remain one of the most intriguing cosmological objects that astrophysicists seek to understand. Support for Galactic Center Group will enable the development of more sophisticated models, methodologies, and computational tools for measuring the stellar orbits of stars near supermassive black holes. In 2018, the star S0-2 will achieve closest approach to Sagittarius A, the supermassive black hole at the center of our galaxy, providing an unprecedented opportunity to attain precise stellar orbital measurement in a very extreme gravitational environment. The research team’s overall goal is to push the frontiers of gravitational physics and help determine whether Einstein’s theory of general relativity is still applicable in such high gravitational fields, or whether new physical phenomena emerge.